﻿ Rebuilt Title Cars: What is a Rebuilt Title Car and Rebuilt Title Insurance? Home Auto Insurance Guides Should You Buy a Rebuilt Title Car? Should You Buy a Rebuilt Title Car? On a car dealer’s site, you see a 2016 Hyundai Elantra that’s going for just $8,000. That’s at least two grand less than the lowest price you’ve found elsewhere — what a great deal! Or is it? The Elantra looks perfect in all the photos. It only has 20,000 miles. But when you look closer, you see the Elantra’s listed as a rebuilt title car. What are rebuilt title cars? And should you buy a car with a rebuilt title? What about rebuilt title insurance? Here’s what you need to know. But whether you buy a rebuilt title car or one with a clean title, Compare.com can help you find the best and cheapest auto insurance. Get free quotes today to see how much you can save. What is a rebuilt title car? You already know that car insurance companies hate losing money. 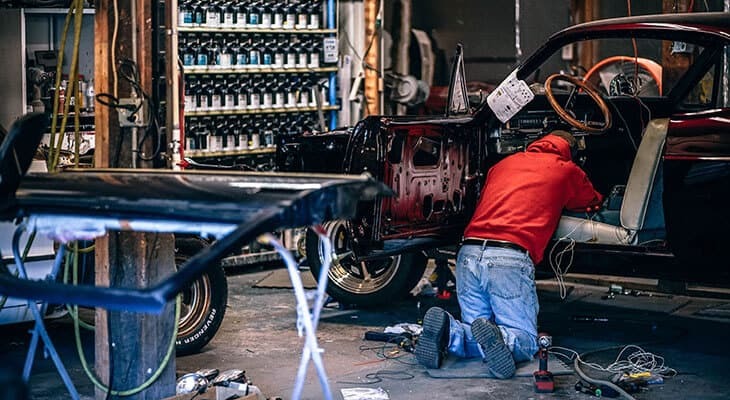 When someone totals their car and it’s deemed a total loss — meaning the cost of repairs exceeds its value — the insurance company doesn’t toss the wreck in the junkyard. Instead, the insurance company purchases the remains of the car, gives it a salvage title and sells it at a salvage auction. Who would want a wrecked car? A lot of people, actually. If the damage is primarily to the body or the engine area, it can be fixed. (Structural damage is a different story.) Once the vehicle is repaired and passes a special inspection, the salvage title is replaced with a rebuilt title. What does rebuilt title mean? A rebuilt title means that the salvaged car was restored, and ensures the buyer of the car knows its history. So should you buy a rebuilt title car? That depends. First, consider the pros and cons of buying a car with a rebuilt title. They’re cheap. “The rule of thumb is that a fully reconstructed salvage car is worth roughly 60 percent of a car of the same make, model and year with a clean title,” according to HowStuffWorks. If you dream of driving a newer BMW, but can’t afford it, a rebuilt title car may be the way to go. If you’re careful, you can buy with confidence. When you’re buying a rebuilt title car, you have to do some homework. Have a qualified, trusted mechanic inspect the vehicle to assess how well it has been repaired and if it’s safe to drive. Request paperwork showing the extent of the original damage and repairs, or contact the collision shop that did the work. Get a CarFax report on the vehicle. The report will detail the car’s history and let you know if it’s a fire or flood car. There may be hidden damage. The rebuilt title car may look shiny and new on the outside, but have serious problems lurking. The biggest villain is cars that have sustained flood damage. When a car gets wet, water slowly corrodes its electric and mechanical systems, eventually ruining essential electronics. Flood cars aren’t always marked as such, so use Consumer Reports’ checklist for spotting a flood-damaged car to identify warning signs, like water lines and new carpet in an older vehicle. You may need to pay cash. Getting a car loan for rebuilt title cars can be tough. You may need to prove to a lender that the car is in excellent shape and ready to drive. Rebuilt title insurance may be tough to get. Car insurance companies should give you liability coverage, but they may not want to provide full coverage for your rebuilt title car. Your resale value will be lower. Even if your car runs perfectly, it will always have a rebuilt title, which means its value will never be as high as a similar, non-salvaged car. So should you buy rebuilt title cars? In some circumstances, and for some vehicles, it can be a good idea. Let’s say you need a farm pickup truck or a 4×4 for off-roading fun. These could be good candidates for buying with a rebuilt title, because you’ll just be beating them up anyway. Or, says automotive writer Doug DeMuro, if you’re looking for a hard-to-find vehicle (not a luxury sled, just a rare model), it may be smart to buy rebuilt. Don’t waste your money on a rebuilt title economy car, though. 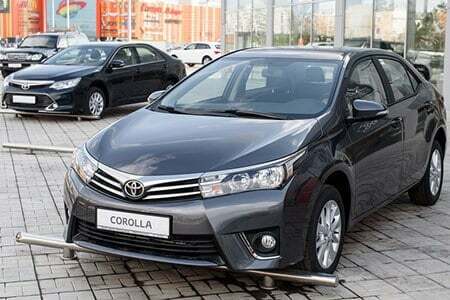 “There are thousands of Toyota Corollas out there, and there’s no point choosing one that’s been smashed over a clean one,” he says.